Fighting to survive in a ravaged world, a Dweller and a Savage form an unlikely alliance in New York Times bestselling author Veronica Rossi's "unforgettable dystopian masterpiece" (Examiner.com). Exiled from her home, the enclosed city of Reverie, Aria knows her chances of surviving in the outer wasteland—known as The Death Shop—are slim. Then Aria meets an Outsider named Perry. He's wild—a savage—and her only hope of staying alive. A hunter for his tribe in a merciless landscape, Perry views Aria as sheltered and fragile—everything he would expect from a Dweller. But he needs Aria's help too; she alone holds the key to his redemption. In alternating chapters told in Aria's and Perry's voices, Under the Never Sky subtly and powerfully captures the evolving relationship between these characters and sweeps readers away to a harsh but often beautiful world. 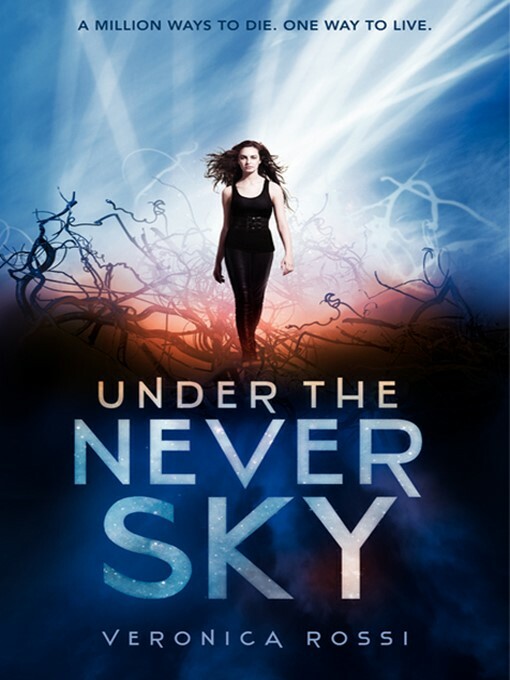 Continuing with Through the Ever Night and concluding with Into the Still Blue, the Under the Never Sky trilogy has already been embraced by readers in twenty-six countries and been optioned for film by Warner Bros.